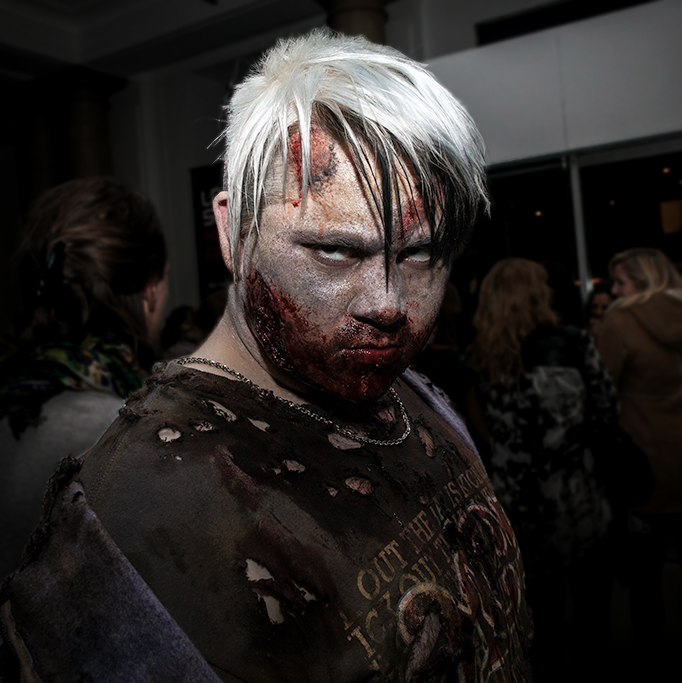 Last week I went to Science Museum Lates for an adults-only event called ZombieLab: The science of consciousness. Combining my love of learning, my interest in the undead and my appreciation for wine, this seemed like a great way to spend an evening. Zombies are nothing new, and once I get round to watching some disaster movies, there will be a fair few which are centered around them. However, there has been a rise, in recent years, of zombies being used by Emergency Planners to bring pop-culture relevance to the work we do. I first noticed this a few years ago with CDC’s Zombie Webpages, and Leicester City Council’s admission of unpreparedness. Whilst an outbreak of flesh-eating zombies might be highly unlikely, preparing for such an apocalypse has more than a few parallels to preparing to real emergencies too. Granted, these didn’t have much to do with repairing for emergencies, however, during the course of the evening, members of the crowd were ‘bitten’ and became zombies themselves. Now, I’d have liked there to have been more on the science of how disease, even unlikely ones, are spread. We’ve already seen examples of how air travel has speeded up the global transmission of diseases such as SARS, and many other bugs are on the horizon. Emergency Managers (in the UK at least) use the Reasonable Worst Case to develop planning assumptions and conduct risk assessments. Whilst the Swine Flu Pandemic in 2009/10 didn’t reach these planned levels, there was potential, which still remains, for a novel virus to have a massive impact not just locally, but on global populations. Whether we choose to prepare (or encourage people to prepare) for flooding, flu or flesh-eating zombies is irrelevant. What matters is that they’re preparing. How long we can ride the zombie wave isn’t known (judging by the numbers at the Science Museum last week there’s still a considerable interest), but there will be something else. Something which will captivate popular imagination despite being implausible.